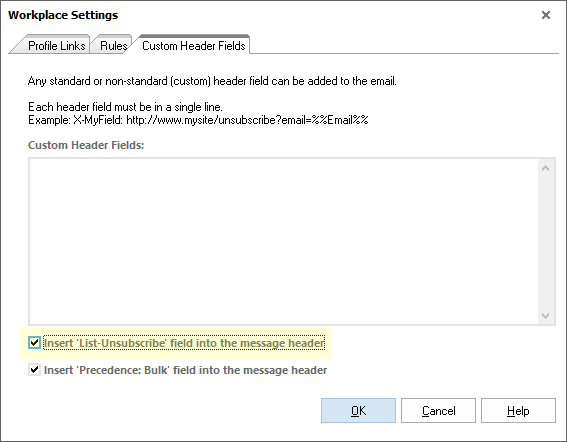 How to Add the “List-Unsubscribe” Header Field to Your Outgoing Emails? There is nothing easier if you use EasyMail7 email marketing software. Ah, so THATS how that bar appears on some campaigns and not others. 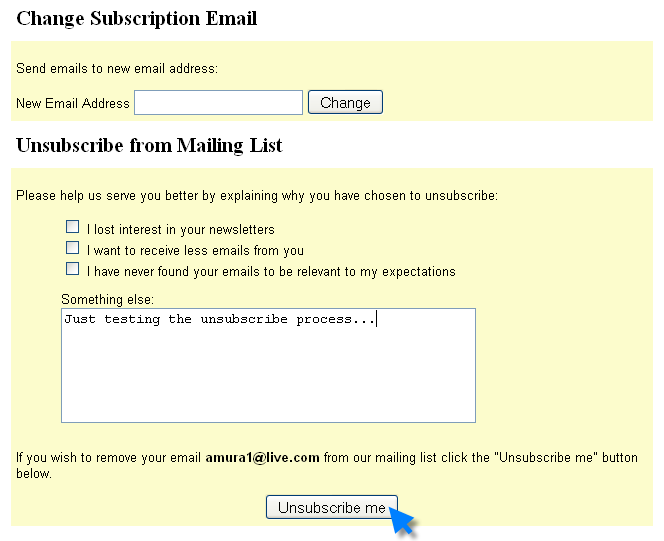 I always thought that dangling the ‘unsubscribe’ button infront of someones face would be a bad thing… but someone who is only not unsubscribing because he can’t easily find the button – isn’t someone you want to have on your list anyway – so you might as well make it easy to unsubscribe. 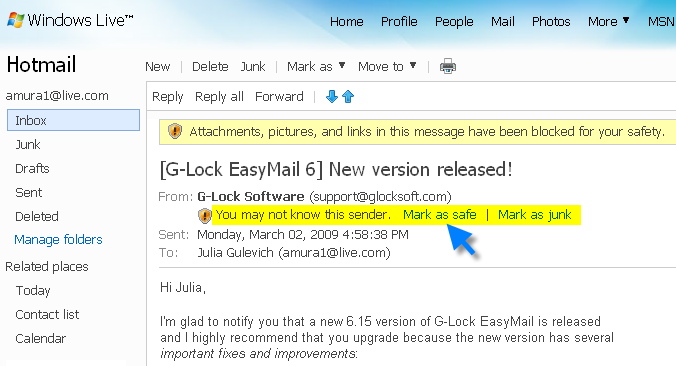 A smart benefit is that the header will not be included if the recipient chooses to forward the mail to a friend. Otherwise the unsubscribe link would be exposed to the friend who might follow it – just as a joke. 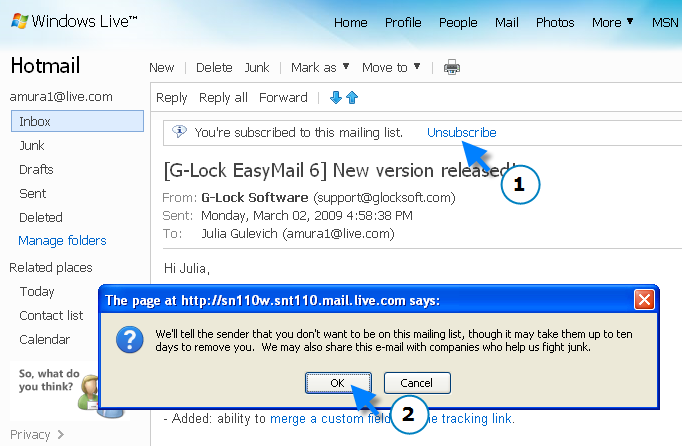 This is also an argument to include a unique unsubscribe token that you will match to verify the mail address in combination to the e-mail address in the URL that the recipient should follow to unsubscribe. 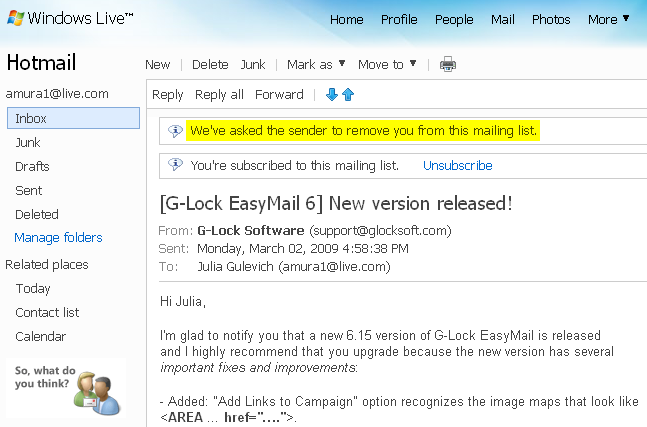 I seldom used hotmail so I never known about this method. Overall this functions is good because some time I noticed tons of subscribe mail appear in my inbox, just I don’t know where is the unsubscribe link Perhaps mt favorite mail service Gmail can add this functions too.